The health of your gums is equally important as that of your teeth. The biggest threat to your gum tissue is a preventable infection called periodontal (gum disease). Although it can be avoided with the right care, the Centers for Disease Control and Prevention estimates at least 50% of adults have it. If the infection is not treated quickly, it destroys the supporting structures of your teeth. At JL Dental, we have the solution you need with scaling and root planing in Arnold. We will restore your gum health and save your smile. 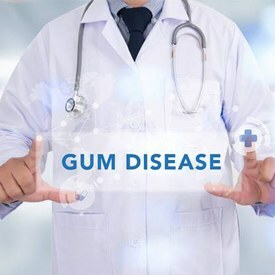 Gum disease is caused by bacteria found in plaque and tartar accumulations. It causes your gum tissue to bleed, swell, and redden. This creates pockets to develop in the space between your teeth and the tissue. As more bacteria and tartar become trapped in the pockets, it causes the infection to intensify. Over time, the supporting structures of your teeth deteriorate, which can lead to tooth loss. The bacteria responsible for it can also enter your bloodstream. This creates inflammation throughout your body, which can lead to several health concerns, like heart disease. Scaling and root planing are performed to clean the pockets in the gum tissue by removing the buildup. The procedure is also known as a deep cleaning, which includes two phases. 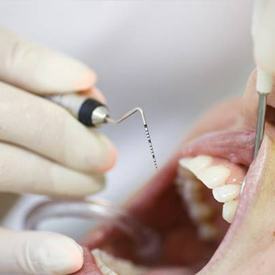 Scaling uses special dental tools to remove plaque and tartar from below the gum line. The roots of your teeth are then smoothed, called root planing. This helps to prevent future buildup by allowing the gum tissue to reattach to your teeth. The procedure is performed using a local anesthetic to minimize any discomfort. In some cases, it may take more than one appointment to complete. It is normal to experience some pain and swelling for a couple of days after the procedure. Your teeth may be a bit sensitive for as long as a week. You can use over-the-counter pain relievers to manage your discomfort. When brushing and flossing, be careful to avoid causing any irritation to the healing tissue. To prevent the infection from reoccurring, it is vital to maintain your oral hygiene habits at home. Brush your teeth twice a day using a soft-bristled toothbrush and a fluoride toothpaste. Clean all surfaces of your teeth and your tongue for two minutes every time you brush. Use a high-quality dental floss to clean in between each tooth and around the gum line every night before going to bed. Your dentist in Arnold may recommend the use of an antibacterial or antimicrobial mouthrinse to help combat harmful bacteria. We may also recommend you have more frequent checkups to monitor the health of your gums. You may need a cleaning more than twice a year to help remove any tartar buildup. 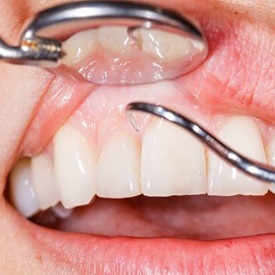 Do not let gum disease harm your oral health. Restore a healthy, beautiful smile with scaling and root planing. Contact JL Dental today to schedule your consultation for gum disease therapy.